SAGE – Will Nanotubes Create an Environmental Health Crisis? Though they may sound like something out of science fiction, carbon nanotubes are among the most remarkable materials humans have ever constructed. And, unbeknownst to many, the nano-revolution is already upon us, transforming the world even as you read these words. Whether nanotubes will change our lives for better or worse, however, remains an open question. Carbon nanotubes are, first and most remarkably, the strongest material ever discovered. They are also extremely lightweight, excellent conductors of heat and electricity, and capable of bending light. Thanks to these extraordinary properties, nanotubes may soon make possible a plethora of new technologies, from light-emitting fabric to spray-on solar panels to elevators that can travel to the moon and back. Although these innovations remain in the future, nanotubes are already found in tennis racquets, bicycle frames and scratch-resistant cell phone screens. Little wonder that, according to industry analysts, products incorporating nanotech will contribute over 1 trillion dollars to the world economy within the next five years. Carbon nanotubes can thank the deliberate arrangement of atoms for their unique properties. 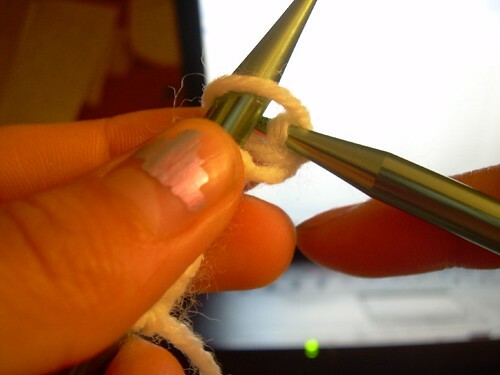 If you were to arrange the exact same carbon atoms indiscriminately, you would get something akin to pencil lead; take enough of those atoms and fix them into a lattice pattern and you’ve created a diamond. The carbon atoms of nanotubes, however, are arranged in a hexagonal network, resembling a sub-microscopic roll of chicken wire. Unlike diamonds, which may take eons to form, laboratories can fabricate millions of nanotubes in a single day. The fact that nanotubes are so useful, yet so easy to manufacture, has companies seeing dollar signs, and household names like Mitsubishi, DuPont, Bayer and Hewlett Packard already have major nanotech research divisions. But before humankind starts using nanotubes in any and every product, it would behoove us to make sure nanotubes are safe. Even as stores fill their inventory with nanotech products, the health risks remain largely unknown. 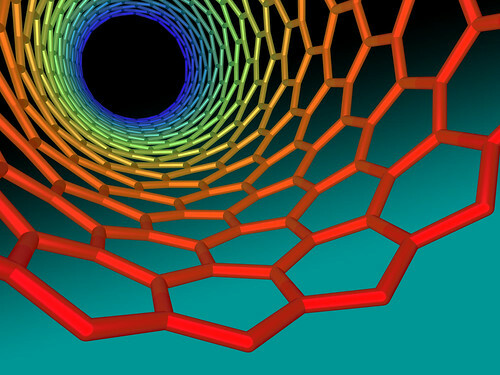 And, troublingly, recent research links carbon nanotubes to irreversible lung cancer. The deceptively simple atomic structure of carbon nanotubes makes them both a technological boon and a health hazard. Photo: Flickr User ghutchis. As their name implies, nanotubes are cylindrical in shape, many times longer than they are wide –– sometimes up to 132,000 times longer. Under a microscope they resemble elongated knitting needles. Thousands could fit in a single human cell; just one is all it takes to cause cancer. And a single breath is capable of drawing billions out of the surrounding atmosphere and into your lungs. Nanotubes often enter the human body through the gateway to the respiratory system: the nose. This border crossing is protected by a sieve of fine hairs designed to catch pollen and dust-sized particles. Yet nanotubes are far smaller than even the most minute mote of dust, and, like mosquitoes flying through a chain link fence, nanotubes pass through nose hairs uninhibited. The nanotubes then travel onward to the trachea, the longest stretch of highway on the journey to the lungs. Resembling a fuzzy tunnel, the trachea is covered with billions of microscopic cilia that beat in unison like row upon row of blinking eyelashes, sweeping foreign particles as small as bacteria into the esophagus, where the swallowing reflex condemns the invaders to death by stomach acid. Nanotubes, however, are too small to be stopped even by this defense mechanism, and continue unchecked. Eventually, the trachea splits into two smaller sections. These tubes, the bronchi, enter the spongy tissue of the lungs and divide again and again, forming a delicate, coral-like arrangement. The branches continue to get smaller, until they are microscopic in size, ending in groupings of air sacs that resemble clusters of grapes: the alveoli. As carefully as a viticulturist tends to his harvest, the body tends to the 300 million alveoli in the human chest, for this is where blood obtains life-giving oxygen. To protect this precious resource, your body employs cells inside the alveoli called macrophages, the elite armed forces of your immune system. Macrophages, highly specialized killing machines that wield octopus-like projectile arms, are able to capture and pull enemies into their amoeba-like body, where they dissolve foes with caustic enzymes. Most invasive particles don’t stand a chance. But nanotubes aren’t like most particles. The majority of foreign objects in the lung are spherical, making them easy for a macrophage to engulf and digest. But engulfing a nanotube is like swallowing a very long knitting needle: even if you manage to get it down, it will surely puncture your insides. Similarly, when a macrophage “swallows” a nanotube, the macrophage’s cell walls are penetrated, and caustic fluid flows out into the sensitive alveoli. Meanwhile, since the nanotube is stronger than steel, it remains unharmed. More macrophages are called to the scene and, as they try their hand at consuming the nanotube, they too are impaled, releasing still more caustic fluid, inflicting ever greater damage upon the alveoli. Would you want these things lodged in your trachea? Neither does a macrophage. Photo by Flickr User abbynormy. Scientists have repeatedly observed macrophages killing themselves, sword-swallower style, by ingesting nanotubes. But why don’t the macrophages know any better? The problem lies in macrophages’ inability to tell the difference between a sphere and a cylinder. Bacteria, parasites, and most other foreign bodies are roughly spherical, and easy to swallow. When a macrophage feels a spherical invader using the receptors on its surface membrane, it knows that the particle is safe to engulf. Nanotubes, however, often fool macrophages: though they can be hundreds of times longer than they are wide, the ends of nanotubes are often rounded, causing macrophages to mistake nanotubes for bite-sized spheres. Before the immune cell realizes its mistake, the lengthy nanotube is already piercing it from the inside. When the macrophage’s protective membrane is ruptured, the strong acids and oxidizers within the cell are released into the surrounding tissues of the body, killing nearby cells and maiming others. The digestive juices often lead to mutations in the DNA of nearby cells, preventing the mutated cell from performing its function in the body – for instance, a red blood cell may not be able to produce hemoglobin. Ordinarily, such mutations aren’t serious concerns, as the human body is easily capable of replacing the damaged cells. The crisis arises when one of those cell mutations results in uncontrolled reproduction: in other words, cancer. Carbon nanotubes aren’t the only long, needle-like foreign bodies small enough to infiltrate the lungs. 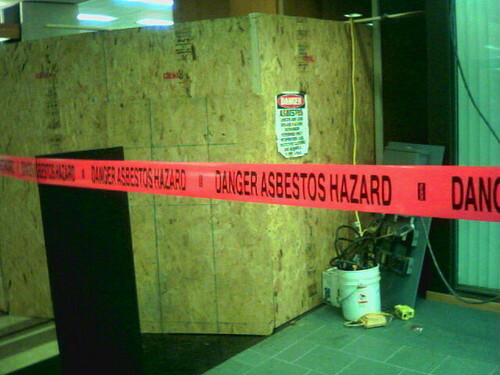 Another particle has an almost identical form, and this one you may have heard of: asbestos. And thanks to their eerily similar shapes, asbestos and carbon nanotubes cause comparable problems in the lungs. Recent studies link carbon nanotubes to mesothelioma, a very rare form of cancer almost always associated with asbestos. Relieving the pain of mesothelioma is more difficult than alleviating other cancers, as it tends to produce symptoms in areas of the body that have dense nerve networks, such as the chest lining, diaphragm, and lungs. There is no cure, and tens of thousands of exposed Americans, primarily workers in shipyards, car factories, steel plants, and construction sites, have succumbed to this disease. Once hailed as a miracle mineral, asbestos is now considered a destructive legacy of the twentieth century’s heedless technical innovation. Its unique properties make it fire-resistant, sound-absorptive, strong, and, unfortunately for the thousands who perished, deadly. Yet the worst impacts of asbestos could have been avoided, were it not for the government’s failure to respond to the public health crisis, even when presented with evidence of the hazard. Mesothelioma provides a cautionary tale, luridly demonstrating the need to address the risks of new technologies. How regulators approach nanotechnology will indicate whether or not we’ve learned our asbestos lesson. Photo by Flickr User ktheory. But if you believe that government agencies have learned their lesson and are now protecting us from the potential toxic effects of carbon nanotubes, you would be wrong. Neither nanotubes, nor the products and materials that contain them, are subject to any regulation regarding production, handling, labeling or disposal. This remains true despite the work of a diverse group of NGOs, academics, and activists, who are calling for expeditious regulatory oversight. Fearing the erosion of public trust, even industry insiders are concerned by the slow progress of government regulation. Why isn’t the federal government acting? “Carbon nanotubes are novel substances, and everyone agrees they need to be regulated,” says J. Clarence Davies, founding father of the Environmental Protection Agency. “But statutes only consider substances new if they have a unique chemical formula.” In other words, the laws designed to protect us from new hazards don’t differentiate between carbon nanotubes and the non-toxic graphite found in pencil lead, despite the major differences in the arrangement of their atoms. Though the task of regulating nanotechnology is daunting, some cities are up to the challenge. In 2006, the government of Berkeley, California became the first agency in the United States to regulate nanoparticles – regulations that I, as Berkeley’s hazardous materials specialist, helped co-author. Thanks in large part to its history of environmental activism, Berkeley has some of the nation’s most stringent toxic substance regulations. When a nanotube fabrication facility set up shop in the hills overlooking downtown, local environmental groups put pressure on the city to take action. In response, Berkeley passed regulations requiring nanoparticle manufacturers to assess and mitigate the health risks of their products and manufacturing processes, and to make those findings available to the public. Making decisions about what the city could and could not regulate was arduous work, as I learned firsthand. I had previously written policies governing the use of lead, arsenic, and asbestos, chemicals whose health effects are well established. Regulating a material with unknown risks, however, was far more difficult, and Berkeley’s initial efforts represent but a single step in the direction of a robust regulatory framework. Our regulations were a compromise between an outright ban of nanomaterials – the goal of environmental groups – and the hands-off approach favored by business leaders. Giving manufacturers of nanoparticles the freedom to manage their own risks allows them to be flexible; requiring them to disclose those risks to the public keeps them honest. Nanotechnology’s promise is vast, but it also imposes significant dangers, and we cannot afford to duck our responsibility to address these risks. In theory, we have ample tools to take on the task. First, we have never had such effective computational models, data analysis software, and academic networks to inform safety research as we do today. Second, scientists are realizing the need to communicate risk to the public, and are developing tools and forums to better do so. Finally, federal agencies have more comprehensive environmental regulations than ever before. Well-written piece, Drew!! Seems like the lack of government regulation is a scary problem here. Too much government regulation is even scarier. Third Millennium Materials, LLC has solved this problem. We have developed a process that catalyzes carbon in situ in a molten metal matrix. Carbon nanotubes, graphene nanoribbons, and ammorphous nanocarbon are “grown” with the matrix of BCC and FCC metals. In addition to creating an immortal phase material, the properties of BCC and FCC metals are significantly enhanced. The enhanced properties include, but are not limited to, increased electrical and thermal conductivity, improved chemical properties, increased tensile strength, and increased resistance to oxidation and corrosion.